Love it or hate it, the crocodile stitch is one of the hottest stitches of the past year. It’s a tricky one, but it’s got a distinctive look and texture. 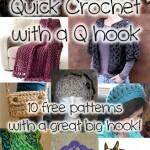 Now there are dozens of tutorials and a wide variety of patterns available that use this stitch to it’s best advantage! And it’s still going strong. 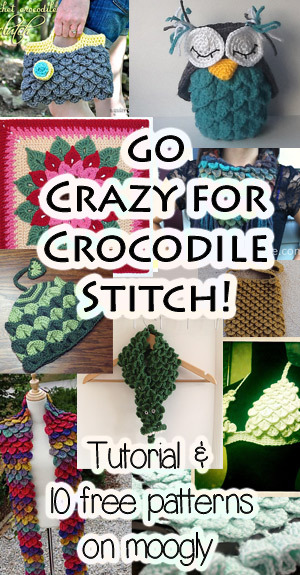 Today I’ve got 10 free crocodile stitch crochet patterns! Need a quick refresher on how this stitch is made? Check out the video and photo tutorial here on Moogly – CLICK HERE! 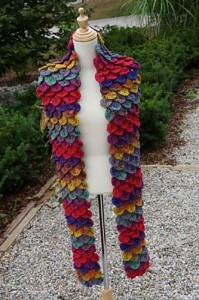 Rio Crocodile Stitch Scarf by Michael Sellick (from The Crochet Crowd), on Fave Crafts: Using a yarn with long color changes gives this scarf it’s great look! Crocodile Stitch Bag by Shanti Ordoñez, a Ravelry download: Be sure to check out the gallery to see all the gorgeous photos of this pattern! 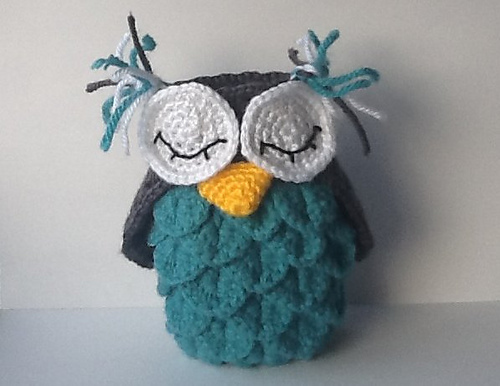 Crocodile Stitch Owl Holder by Virginia McCreedy , on Craft Notes: This clever pattern can be a container or a stuffed animal – and looks good either way! Crocodile-Stitch Cowl by Carrissa Knox , on Penelope Rae: This unique cowl features an easy on off button and oodles of fringe! This pattern is no longer free, but is available to purchase HERE. 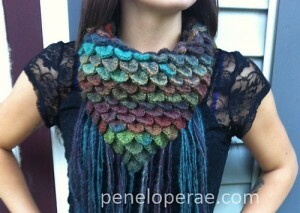 For a similar pattern that is free, check out the Triangular Crocodile Stitch Shawl on Undeniable Glitter! 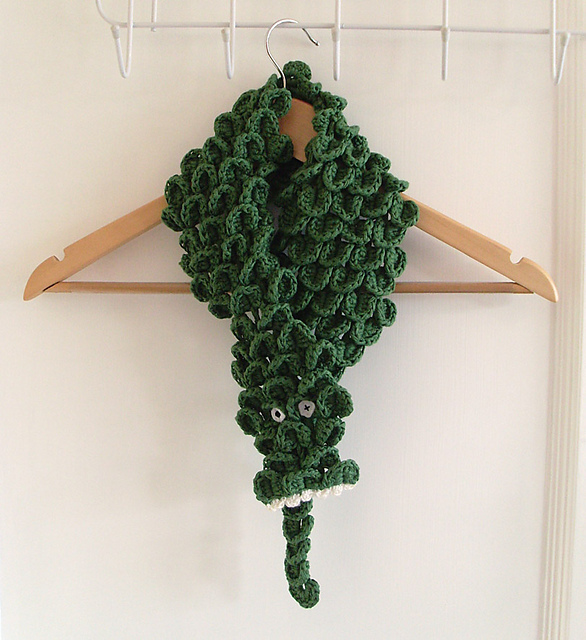 Crocodile Scarf by Cult of Crochet: The ethical – and hilarious – alternative! Crocodile Stitch Baby Blanket by Bonita Patterns , on Bernat Free Online: Crocodile stitch, a ruffled edge, and a gorgeous ribbon – perfection! Dragon Tail Hat by Jen Spears, a Ravelry download: Change up the colors and it’s a beautiful flower! Clever! 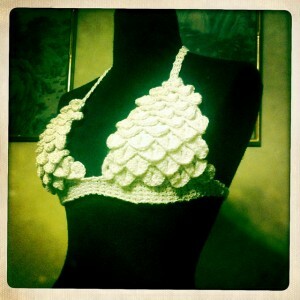 The Targaryen Dragon Scale Bikini Top by Kt Baldassaro, on Ravelry: I suspect this is more for lounging by the pool than in it, but if I could I would love to rock this little crochet bikini top! Crochet Crocodile Clutch Purse by Sara McFall, on My Merry Messy Life: I do so love a good clutch, and crocheted handles mean you already have everything you need to make this great bag! 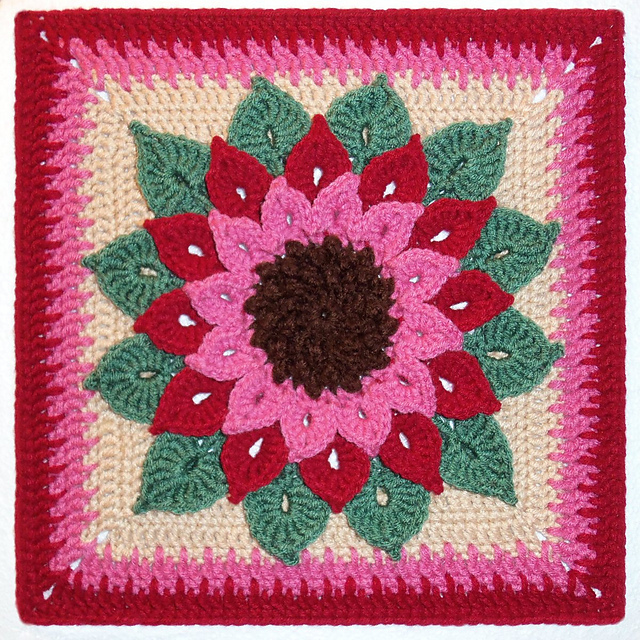 The Crocodile Flower Afghan Square by Joyce Lewis, a Ravelry download: Absolutely lovely in multicolor or monotone – a great addition to any blanket! Ready to go REALLY wild with the Crocodile Stitch? Learn to make it in rows, rounds, diagonally, add it to other patterns…. and create your own projects in my Crochet Crocodile Stitch class on Craftsy! ♥ CLICK HERE for my instructor link, and the best deal on the class! Be sure to check out and like the moogly Facebook page to get the latest updates, links, and sneak peeks. Moogly is also on Pinterest, Twitter, Tumblr, and now Google+ – come join the fun! I modified the crocodile stitch to create an ear of corn! I made the Scrub N Wipe dishcloth from bestfreecrochetpatterns.com, my first attempt at the crocodile stitch. I think a dress made from this stitch would be stunning. My thoughts exactly. I have an idea in my head for making a skirt using the crocodile stitch. Then I had the idea of doing the crocodile stitch from the hem up to just past my knees and then switching to a Tunisan Knit stitch to the waist and putting elastic at the waist. I just can’t find a pattern, so I guess I’ll have to wing it. Lianka, owner of Bonita Patterns made a wedding dress using the crocodile stitch. Stunningly lovely!! She does amazing work! So impressive! I love the crocodile stitch. Thanks for sharing! I modified the pattern and made a full hat, and figured out how to make a diaper cover out of the crocodile stitch!!! I refused to pay for a pattern, and made them both up myself. I was following instructions of the beautiful crocodile-stitch cowl by Carissa Knox but suddenly the page is unavailable????? Can you please help me to get this pattern back…..thanks. 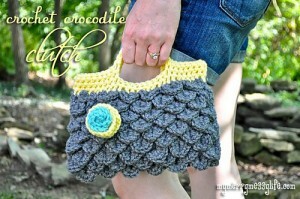 Thanks so much for featuring my Crocodile Stitch Bag. It’s fun to see so many croco-patterns! Thanks for sharing it Shanti! Thank you for featuring my bag and tutorial Tamara! I’m so honored that you say my tutorial is one of the best ones you’ve seen! That’s saying a lot! Lotsa love :). I am so lost on what to do now and hope you can help! 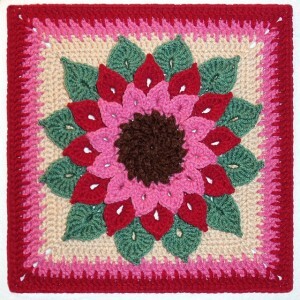 I would like to make the “The Crocodile Flower” into a lapghan for my mother-in-law. The red and pink is her favorite colors. However after retrieving my log in name then going back in to change the password (three times) I finally have gotten into ravelry.com. HOWEVER I have click on everything possible to get the FREE pattern and I get taken to all sorts of places but no pattern. Can you help me PLEASE, I would like to make the lapghan but I have just a couple of months left before it’s her birthday. You can email me with a “what-to-do” now or the pattern. Any help would be so appreciated!! I learnt crocdile stitch one month ago. Love it. Have made fingerless gloves, scarf and a hat. I am now tackling a shawl. Can’t stop crocodiling. I would love to see a stuffed dragon with this pattern!! I just found out I’ll be an aunt to a little boy and would love to make him a stuffed dragon. I am relearning how to crochet, so I don’t know enough to develop patterns yet. But I can envision a smooth belly, smooth legs and croco stitch back and tail! Oh that would be cool! In thin yarn so there are lots of little scales! 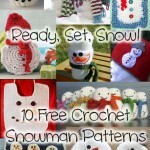 I love that you share free patterns with us!! I tried to get the – The Targaryen Dragon Scale Bikini Top but the site come us as it doesn’t exist on server anymore. Do you know where else it might be? Sorry about that Samic, looks like they took the site down! Fortunately I was able to find the pattern elsewhere and have updated the link to http://www.ravelry.com/patterns/library/the-targaryen-dragon-scale-bikini-top Thank you so much for letting me know! Wow thanks for such a fast reply!! Thanks, I was sitting here trying to figure it out start at top or bottom Dc there !/2Dc there Sc here Slst there ect i gave up lol. I must admit the crocodile stitch is not one of my favorites. It’s just too bulky looking to me. However, that owl is adorable and it looks like the perfect application for this stitch. I’m going to give that pattern a try. Thanks for sharing! 😀 Not every stitch is for everybody, and that’s okay. Glad you found something that appealed to you! Great collection 🙂 the Mermaid Tears Purse is also a lovely pattern using crocodile stitch with so many projects on ravelry 🙂 there is also an YouTube video tutorial for the same. 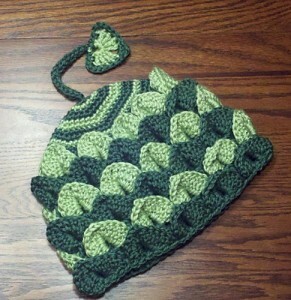 I have been obsessed with the crocodile stitch and I already have several of these in my Ravelry queue. The one problem I keep having is getting the scales to lay flat. They keep trying to stick out – like a fish being descaled lol. Is there a trick to getting them to lay flat? I made the baby blanket for a friend who had a baby in January. I made it bigger and it took 3 months but I loved how it turned out. I made it pink. I’d love a free croc stitch baby boot pattern! Has anyone been able to find a free pattern for a crocodile stitch diaper cover?? Hi Chandler! 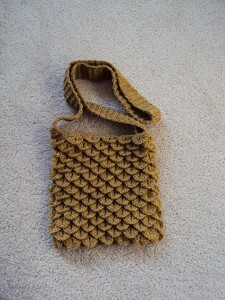 I found 3 patterns on Ravelry: http://rav.to/StwJxU I’m afraid none are free though. 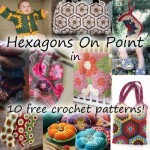 Thank you for sharing, I’m loving all these pattern links. 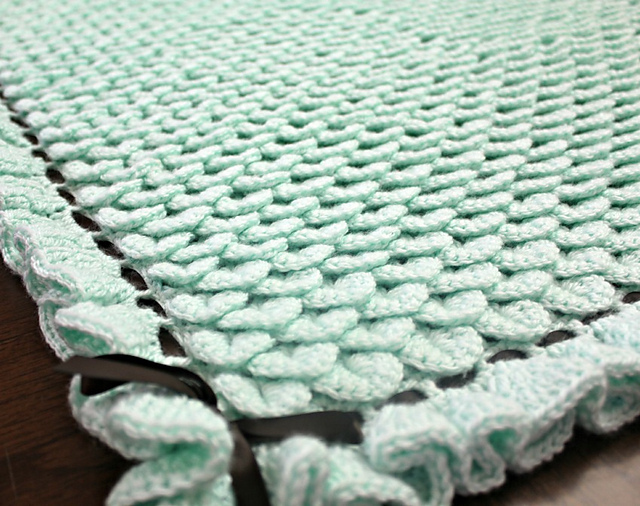 i haven’t been able to find a free one either, but I’m thinking if you make a normal diaper cover and the insert yarn where you want the crocodile stitches, you could add the foundation row (v post) and then do another row with crocodile stitch? I’m going to try that. 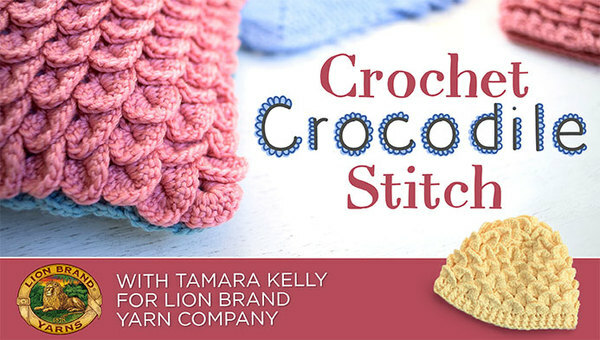 Tamara, you do a very good job of explaining how to do the crocodile stitch pattern. Thank you! 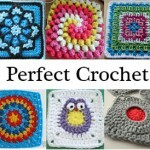 I’ve crochets for years, but never advanced past the granny square and basic other stitches. I am a highly visual learner, so the videos make it so much easier for me to learn. I will be back to learn more from you! I am a lefty and inpirchaed the crocodile bootie pattern from bonita patterns. Its really cute, but being left handed I can not figure out how to make the crocodile stitch they are upside down and backwards. I have youtubed and googled but no luck. I emailed customer service at bonita patterns have not heard anything back. Can someone please explain how to to the crocodile stitch lefthanded. Thank you! Unfortunately I’m not left handed myself. Hopefully Bonita will get back to you soon! Could try watching the tutorials through a mirror at an angel to your comp screen. Tried to print instructions for crocodile stitch. Pages were covered with advertising and was unable to read. Not happy with my first experience! Tutorial was fine. love your patterns so creative. would really like to learn how to increase crocodile stitch in the round.. please help Thank You In Advance. Have you come up with a way to address increases in the crocodile stitch and they lay flat and don’t look bunchey? You are an awesome designer and so easy to follow. Thanks for your amazing vision.